Should you crowdfund your next book (on Kickstarter, GoFundMe, or PubSlush)? 3 reasons why not. Should you crowdfund your next book (on Kickstarter, GoFundMe, or PubSlush or whatever tomorrow’s Next Big Crowdfunding Site happens to be)? Now we can all go home. What? You want me to defend that statement? Well, okay. Here are three reasons. #1 Your crowdfunding project makes me feel spiteful. I’m not saying this to be nasty, I promise. I love you, I love writers, I want to encourage independent writers to get their books in print and live their dream. Really… I do. Either that or they’re just plain bored. Bored with writers who hang out online on facebook, LinkedIn, and anywhere else writers hang out, telling me to fund their book… when they ought to be writing. Probably better for you to try crowdfunding elsewhere. It annoys me when you tell me how much it costs to hire an illustrator or to have your book professionally edited. I know how much those things cost – because I pay for them, for my own books. Maybe your mother will pay for yours. … and if you have a following already, you don’t really have a funding problem. Just put out your book, sell your book, and your fans will buy your book. That’s how it works for the rest of us. Or at least, that’s how we hope it will work. The conventional wisdom is that Kickstarter doesn't "work" anymore. But the conventional wisdom is wrong. It just doesn't "work" unless you already have a following. You can't rely on it to create a following. People don't go to Kickstarter (or any other crowdfund site) looking for cool stuff to promote. They go to YOUR site, find out about your project, get excited (that's your job; to sell it to them) and then they click through to fund your Kickstarter. When you don't have a following outside of Kickstarter, that the conventional wisdom "kicks" in... and crowdfunding just plain doesn’t work. #3 You are embarrassing yourself, and by extension, me. I would rather not besmirch the name of self-publishers by making us look like street-corner bums and hobos looking for a handout. It used to be, when Kickstarter was a novelty, that people sometimes went there to browse and see what projects were cool and new and interesting. Not often, but sometimes. And if they found yours, and liked your idea, then great. You got funded. Writer announces that crowdfunding is now open. Yeehaw! Writer returns to the venue where they announced that crowdfunding is now open with a reminder that crowdfunding is STILL open. If I click through at this point, they have something like $7, donated by their mother, out of $4000 or more as their goal. Writer returns to the venue to complain that crowdfunding hasn’t “worked.” Ask for tips. Writer crashes and burns, crowdfunding attempt having failed utterly. This is the cold, cruel world of crowdfunding in 2014. If you publish a book and nobody buys it, that’s private. Strictly between you and Createspace, or Kindle Direct Publishing, or Smashwords, or Lulu. Nobody but your POD publisher needs to know that you’re a failure. I have a few books out there that hardly anyone buys. You can probably figure out which ones, but at least you can’t peer over my shoulder at the bottom line. I’d rather keep it that way. Okay, yes, I’m a failure. But I am also currently the fourth-best-selling writer of Jewish children’s books on Amazon.com. I am not saying that to brag. I am saying that because at any given point in your writing career, you will probably be BOTH wildly successful and an abject failure. That’s the nature of the writing biz. However, by putting so much store in a crowdfunding campaign, you are ultimately focusing too much of your energy on a project that is almost certainly doomed. And you make the rest of us look bad along the way. Use your energy to write a great book… and then, write another great book. Each great book improves your odds that the others will take off. Now there’s a funding model I can get behind. This doesn’t mean you don’t deserve to succeed! But the harsh truth is this: the world rarely hands us what we deserve. There will always be exceptions. If you see your book as an exception, you may come away from this post thinking I’m a nasty, bitter old lady. Maybe you’ve written about the story of your child’s heartbreaking disease and you need money to travel or interview medical professionals or hire a professional transcriptionist to copy out court records… I don’t know. Your book may deserve a ton of crowdfunding. If it does, I hope you get it. The truth remains that most don’t. If yours is one of the truly worthy ones, then you, too, should hate all the others for cluttering up the playing field so yours cannot stand out. I’m not saying her book isn’t a worthy cause. I’m sure it is; she is living with a difficult medical condition, and would like to get her story “out there.” But what makes it more worthy than my book of short stories, or the book on Biblical storytelling that I’m putting together? The only place to determine which books sink and which swim is… I’m sorry to say… the marketplace. Ultimately, asking people to spend hundreds – in this case, the donation levels were $250 and $500 – on a book they cannot even read five words of is, in a very Jewish sense, chutzpah. The one thing you can be sure of, when it comes to generalizations, is that they are always false. There is always an exception, to every sweeping generalization. There will always be one pubslush or kickstarter or gofundme or some other campaign that creeps up out of the blue and takes off and makes one writer’s dreams come true. However, as with lottery tickets, the odds are vanishingly small that that winner will be you. Write more books; write great books, and the odds are with you. Eventually, you will probably succeed. Publishing your book is cheaper today than at any time in history. Sure, there are a few areas you simply can’t skimp, or your readers will know. Cover, art, editing: that’s where you should put your money, in that order. And I do mean YOUR money. If you can’t afford to have your book illustrated, edited or covered professionally right now, then you can try to find something affordable, like fiverr or elance, or you can set it aside until a later date when you’ll have more money. Write more books. Write adult books, or Young Adult fiction, that needs less art, and can be published and distributed free via Kindle Direct Publishing. 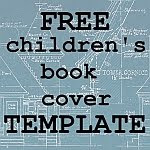 Write articles or guest posts about the life of a frustrated children’s-book writer. Blog. Build a following. Commiserate with fellow writers online. Collaborate with an illustrator. You can make it happen. With the “begging” option off the table, you may just find your creativity unleashed. You may just manage to discover an astonishing out-of-the-box way to get your words out into the world. If you’ve managed to do just that, I’d love to hear about it in the Comments section. That is terrific advice, Jennifer, a nudge in the right direction. I like to tell people that when we take the shortcuts in life we add a dozen miles to our destination. Some of us take so many shortcuts our purpose for being alive never gets seen. Your graphic says a lot all by itself. This is a very well-written and informative article. For a brief moment, I was drawn to the Kickstarter "light". But, instead, I am feathering my nest in anticipation of my first children's picture book. The feathers are not cheap, and it is a bugger to have to pluck and arrange each one myself. But, I know I can stick a few of them in my cap for the next go-round! Thanks for all you do to help newbies, like myself. I can honestly say that I would not have come this far, this fast, without the help of people like you. Thank you! Michelle, having seen the proof of your book (the cover, at least), I think that feathering is going to pay off very soon. I admire any writer who sticks with her project, pouring her heart and soul and cash into it. Good luck! Well said, Jennifer. I've too had that blank stare when I've seen "fund my book" requests on social media, specially LinkedIn. I mean, some people don't even bother to tell you a back story. I probably wouldn't fund it either. Why would I? Also, some others yelling "buy my book, buy my book" in writers groups... really? I think that's just lazy marketing and lack of common sense. I wish them all well, but I really dislike the fact that they are cluttering the market and making indies look unprofessional. The concept of crowdfunding is new to me. A friend just suggested it and I remembered seeing it mentioned on LinkedIn so that I would see what it had to say. Thank you for the information. I know of one blogger who has had a lot of success with his kickstarter campaign. I'm inclined to think he was more the exception. It is not something I will rush into. I see a lot of blogs beside my own and a number of them asking for donations. As you said, if I had any money for their book or whatever, I would probably put it toward my own. @leamuse, thanks for stopping by! I have seen successful campaigns, mainly from illustrators, because people really connect with images. Words, not so much. We live in a flood of words and it's just hard for a campaign like this to stand out. There's no shame in asking for donations on your own site - I have donated to bloggers in past if I felt they were offering useful information I couldn't get elsewhere. Kickstarter, to me, is something different. It can work, but usually doesn't.